Digvijay S. Raghuvanshi is currently pursuing Research Higher Degree at University of Newcastle, Callaghan, in developing future nanopositioning devices and mechanisms with emphasis on mechanical design & analysis. He is M.Phil. Candidate with Precision Mechatronics Lab at School of Electrical Engineering and Computer Science at the university. While graduating from Bharati Vidyapeeth University (India) with first class bachelors in mechanical engineering in 2012, he explored areas of mechanism design for renewable energy conversion technologies as final year thesis. 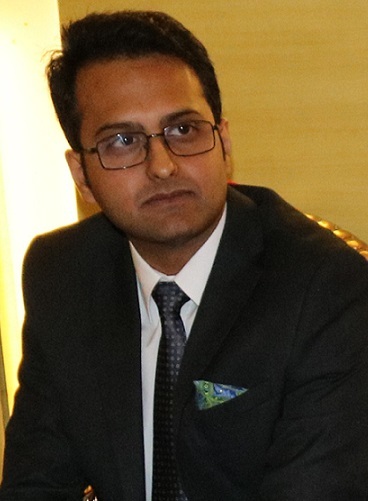 After finishing undergraduate studies, Digvijay pursued a voluntary research during 2013-14 to develop navigation assistance devices for the visually impaired proposing enhanced sensing capability design to the conventional sonar-based electronic travel aids, something applicable to autonomous systems as well. His hobbies include chess, skill-based volunteering, following issues impacting humanitarian affairs, sustainability and animal welfare. He is actively involved with UON Volunteers, University’s International Leadership Program (iLEAD), serves as Executive of a University Committee and is currently representing University of Newcastle at ENACTUS 2017.